Ulfr and Vékell and Syrkell/Sørkell, they ... this stone in memory of ... their father. May God help (his) spirit. 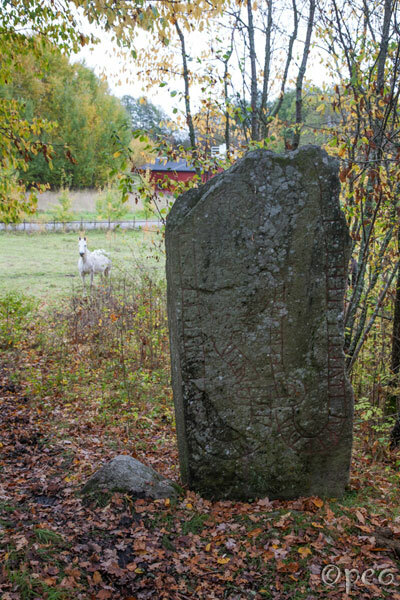 Another fine rune stone.... and a curious horse, wondering what I'm doing.